In honor of International Women’s Month, the International African American Museum will be highlighting different groups of women who are, through their work, making an impact throughout Charleston and/or the state of South Carolina. This week, we’ll be introducing you to African-American women in Charleston who are making a difference in their respective industries. 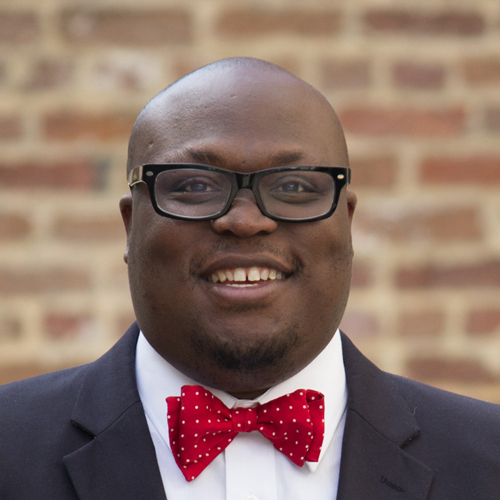 Dr. Williams Lessane is a cultural anthropologist whose focus areas include Pan-African religious identity, Black feminist theory, and representations of Black life in popular culture. Named one of Charlie Magazine’s 50 Most Progressive People in 2013, she has also earned a BA in English from Fisk University, a MALS from Dartmouth College, and a PhD. in Anthropology from the University of Illinois at Chicago. Before joining The College of Charleston, she was a faculty member at Roosevelt University and a consultant for The Museum of Science and Industry in Chicago. Shaundra Young Scott graduated from the University of South Carolina in 2000. She obtained a bachelor’s degree in Political Science with a minor in Spanish. 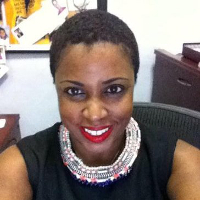 Mrs. Scott graduated from John Marshall Law School in Atlanta, GA in 2005. She participated in a student exchange program to Puerto Rico and Mexico and became fluent in Spanish. She began working for South Carolina Legal Services in 2006 as a law graduate and subsequently as an LEP/Migrant attorney. In 2007, Mrs. Scott became the supervising migrant attorney over the migrant farmworker unit at South Carolina Legal Services. The unit deals with various legal issues including but not limited to wage and housing violations, field sanitation violations, immigration issues, pesticide exposure violations, and discrimination issues. 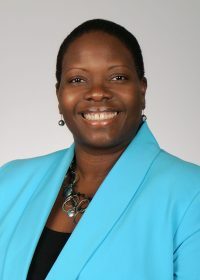 Mrs. Scott recently became the first African-American female executive director of the ACLU of South Carolina in February 2016 where she now focuses on the civil liberties of individuals within the state of South Carolina, including but not limited to racial justice, women’s reproductive rights, LGBTQ rights, and Youth Justice. 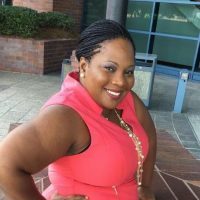 Shannon Jones joined the MUSC Libraries faculty in 2014 as the Assistant Director for Program Development and Resource Integration. She was appointed as the Director of MUSC Libraries in 2016. As Director of Libraries, Shannon is responsible for the vision, leadership, and management of all aspects of the library including strategic planning, budgeting, technology integration, facility management and operation, and personnel. Prior to her arrival at MUSC, Shannon worked at the Tompkins-McCaw Library for the Health Sciences at Virginia Commonwealth University in Richmond. Recently named two of Charleston’s 50 Most Progressive in 2016, Johnny Caldwell and Taneka Reaves are the dynamic duo known around the globe as the curly-haired Cocktail Bandits. The full-time Charleston Ambassadors met in their political science classes at the College of Charleston, and now, with their booming hospitality business and self-titled Cocktail Bandits blog, promote female empowerment through advocacy for the food and beverage community from a feminine, urban perspective. The curly ladies, who talk cocktails daily, educate and entertain their growing blog audience through their own original cocktail recipes, promoting the craftsmanship of other bar professionals, and sharing their experiences at foodie events all around the Holy City and beyond. Johnny and Taneka have also been featured on Sirius XM Radio online, NBC Blk, Metro UK online, Essence Magazine, Charleston Wine & Food Festival, Euphoria Greenville, National PBS, Atlanta Food & Wine Festival and several other regional publications. Jessica Amaro is the Founder and Executive Director of For The Exceptional, located in North Charleston City Hall. For The Exceptional is a Charleston-based non-profit organization their mission to provide interactive social outlets to young adults with disabilities while providing their parents and the community with information, support, and resources. Since the year 2010 Jessica has been responsible for bringing together hundreds of special needs young adult and their families, using A Very Special Prom as the tool of connection. Jessica has become a vital part of the Special Needs community through aligning herself with local businesses. Equipped with a Master’s Degree in Management and Leadership she has also been able to utilize strong business principles to build a non-profit organization that is 100% community funded. She has dedicated herself to creating a city of opportunity which requires her to work with local businesses to fund services needed for the Tri-county special needs populations. Jessica is a loving wife, proud mother of two and the sibling of a special needs adult.